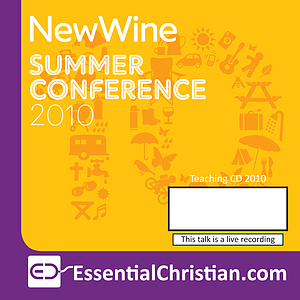 Transformation 3: consecrate yourselves is a Simon Ponsonby talk recorded at New Wine - 2010 on Practical Christian Life available as CD format. In the third of these three seminars exploring the theme of transformation, we will be looking at personal holiness as a key to corporate revival. Be the first to review Transformation 3: consecrate yourselves a talk by Simon Ponsonby! Got a question? No problem! Just click here to ask us about Transformation 3: consecrate yourselves a talk by Simon Ponsonby.